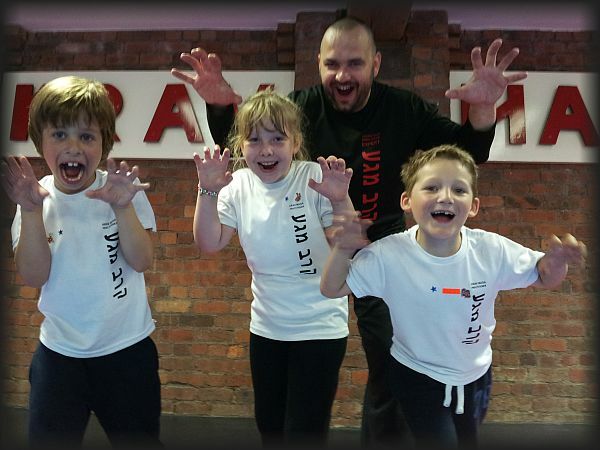 Krav Maga Self Defence for Kids in Liverpool 5 – 17 year olds. We will teach the basic movements, punches, kicks, defence against common holds and attacks. How to prevent and deal with all the relevant dangers. But it’s not just physical, the class is designed to educate without scaremongering. It makes sure the student understands potential dangers and how situations could escalate. I deal with prevention. The student will then learn when it is appropriate to use the techniques, emphasising non-violent solutions. – It’s not weak to walk away from trouble.